Engraved Glass Gifts: Curved Clear Glass Frame 5" x 3"
Curved Clear Glass Frame 5" x 3"
This is a 5mm Curved Clear Glass Frame 5" x 3". 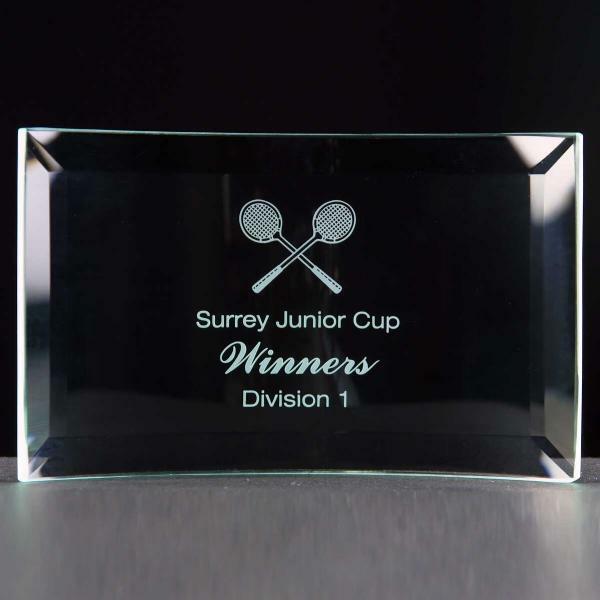 The price includes up to 50 characters engraved for free on the curved clear glass frame. Any additional characters to personalise the glass frame for your event are then charged at 25p each, and there is an additional cost for a logo. The actual size of the personalised curved clear glass frame is approximately 4.53" Width, 1.22" Depth, 2.95" Height. The Curved Glass Frame is postage band B.
Curved Clear Frame with 4"x6"